I was looking in Mama’s trunk for something the other day and the first thing I saw was, at the top of a great many Journal books or something of that sort a piece of paper on which was written “If I die, let these be burnt”, and something else which I did not see! I am sure I should like to see them very much, and I do not see why they should be burnt. This is an excerpt from the journal of Emily Pepys (1833-1877), which I read yesterday. Happily, unlike her mother’s, Emily’s journal saw the light of day. Written over a period of nearly seven months beginning in July 1844, at which time Emily was about to turn eleven, it was discovered in the late twentieth century and published in 1984. Ten years old is a good age to begin a diary. You have a reasonable ability with words, and you are not yet afflicted with the tedious self-consciousness and literary aspirations of adolescence … [Emily] is three years older than Marjory, therefore the way she writes is less remarkable. On the other hand those extra years have given her the stamina to persist and provide us with the continuous narrative that Marjory’s small, weary hand had not the energy to set down. Nor could Marjory, aged seven, observe personalities so knowingly. Here are a family’s jokes, quarrels, hopes and disappointments – all the matters that are usually forgotten by the time the mature adult comes to write memoirs. Though related to the Samuel Pepyses, Emily’s branch of the family pronounced their surname ‘Peppis’. Her father was Bishop of Worcester, and she was the youngest of four children, devoted to her mother and her 14-year-old brother Herbert. Her concerns are those of most children in well-to-do families of that time, I presume. There is much playing of games (including archery), dancing, socialising with other children who come to stay, writing of letters. Though not a bookworm, Emily reads Dickens, but her ideas about love feel like something out of Austen. There’s a boy called Teddy Tyler she’s very fond of, but she doesn’t meet him during the period chronicled by the diary, only his sisters. It’s hard to see people you want to when you don’t live very near and you’re only eleven and there’s no internet. I should very much like to have a little private letter from Teddy to show me his heart, and also I should like to see him again to revive my love. Actually, there was another boy, but it didn’t last. The only time I ever really lost my heart was to Villiers Lister, a very handsome boy about 11 years old, with long curls, but though I have ever since, and I daresay shall for ever like him very much, yet the actual love only lasted 1 night. Emily’s schooling arrangements aren’t clear. She’s horrified by the threat of a French governess. Sometimes she goes to a ‘School’ with Mama, the precise nature of which is unclear. She writes very little about her lessons. I’d have liked more lessons and less dancing, to be frank, but there are lovely moments. I had the oddest dream last night that I ever dreamt; even the remembrance of it is very extraordinary. There was a very nice pretty young lady, who I (a girl) was going to be married to! (the very idea!). I loved her and even now love her very much. It was quite a settled thing and we were to be married very soon. All of a sudden I thought of Teddy and asked Mama several times if I might be let off and after a little time I woke. I remember it all perfectly. There was one amusing anecdote, viz: The servant came up and said “Your plate please sir”. Mr. Talbot was talking so I just took his plate and gave it to the servant. He turned round and said “Thank you ma’am”, and afterwards I found out he had not finished. It was a capital joke at the time! Miss Lea was married today to a Mr. Heming. She is the daughter of a retired Carpet manufacturer, and he is a needle manufacturer. We had a nice conversation at dinner about the worlds, and whether there were worlds before this, and whether there will be one after this. Herbert and I were left alone, and looked at several nice things in the Encyclopoedia, such as Anatomy, Midwifery etc. etc. etc. but Mama told me to go to bed 10 minutes before 9 so we had not much time. Herbert and I always go together let one another into all our secrets that we would not tell anybody else for worlds. I see so much of myself in that one, the curiosity of children about the human body unchanged from then to now. When she rejoices that the music-master is too ill to come or complains that her New Year present is likely to be one she will have to share with Herbert, Emily could be a child of this century. Early in the book a young mother dies of scarlet fever within days of giving birth. It makes one grateful for modern medicine. I’ve got an ear infection at the moment, and I hereby give thanks to antibiotics. I wouldn’t fancy pouring some of the ‘Jalop’ (jollop, presumably) that Emily takes every month or so into my ear. 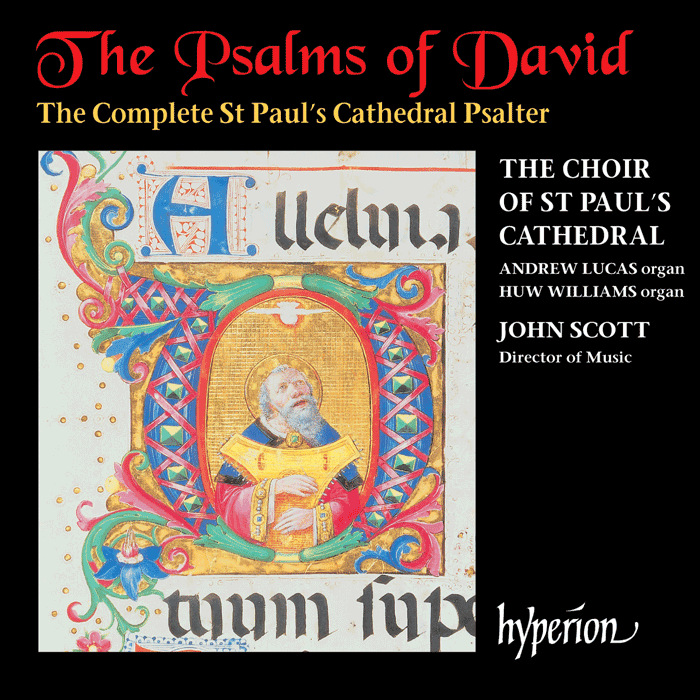 Emily herself only lived to the age of 44, but did at least fulfil her childhood dream of marrying a clergyman, William Henry Lyttelton, Canon of Gloucester. 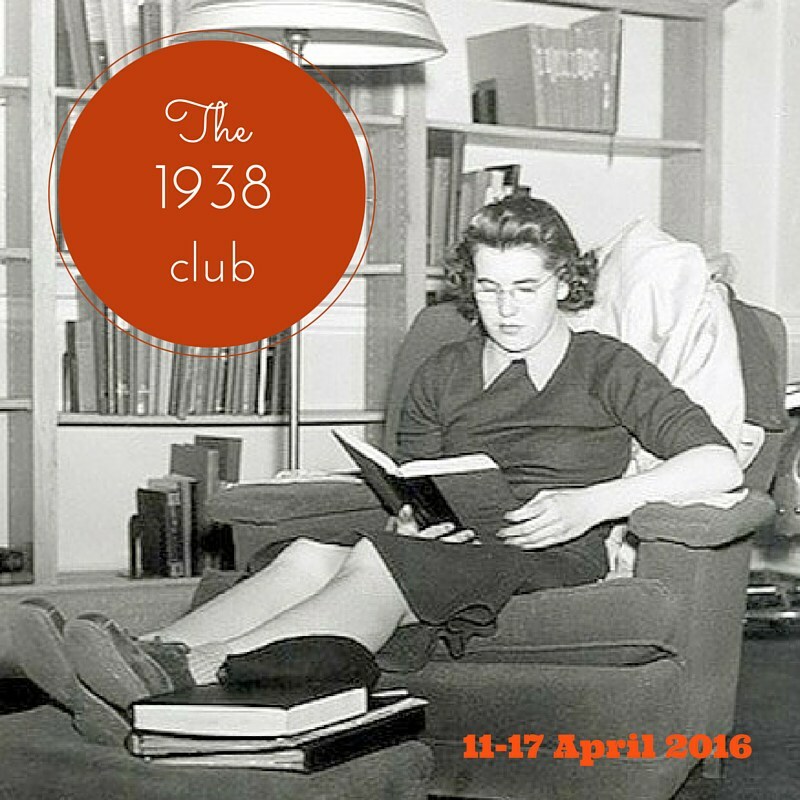 I’m very glad to be taking part in the 1938 Club, curated by Stuck in a Book and Kaggsy’s Bookish Ramblings. 1938 was a fascinating year for literature and also for the world in general. I’m a bit of an amateur historian, and I know that it’s the year before the Second World War started, so there’s that. 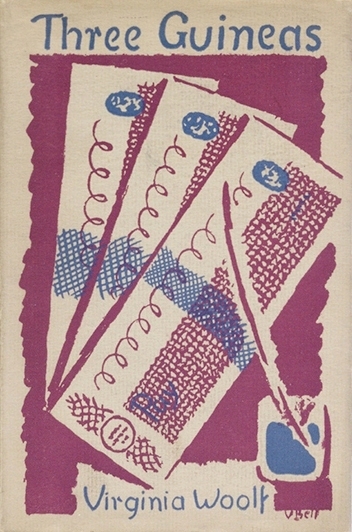 By 1938 war was very much on both the cards and the mind of Virginia Woolf, whose Three Guineas was published that year. 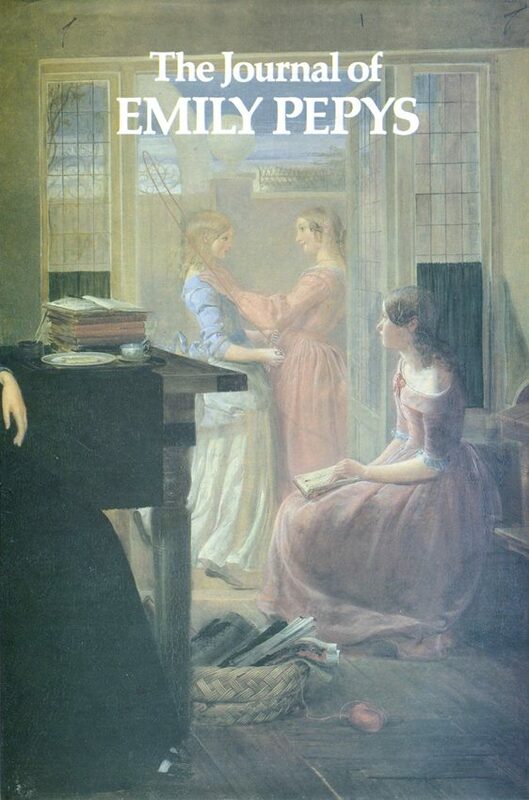 In it she responds to three letters she has received: the first from a barrister who asks for her opinion on the best means to prevent war and for a donation to support his society; the second from the treasurer of a women’s college, asking for a donation towards its rebuilding fund; the third soliciting money for a society promoting the entry of women into the professions. These matters, superficially disparate, are in fact bound up together, and Woolf explores the common ground they share. Three Guineas is now thought of as a companion piece to Woolf’s brilliant extended essay A Room of One’s Own, which I read a couple of years ago. I was sitting engrossed in the book while waiting for a performance of Ibsen’s Ghosts to begin, and feeling more self-consciously studenty than ever before (though I hadn’t been a student for some years), when the respectable middle-aged lady beside me asked what I was reading. I showed her the cover, and I must have looked terribly earnest because she offered an encouraging ‘Nearly there.’ For a moment I was an honorary woman. And yet Three Guineas feels like a poor relation, not nearly as widely read as its predecessor. Why? Morag Shiach, in her introduction to the Oxford edition I read, suggests it has something to do with the ‘radicalism’ of Woolf’s conclusion, which equates the oppression of women in Britain with the fascism she is being invited to combat in the first letter. She gives her correspondent the donation he asks for, but declines to join his society. [Since] we are different, our help must be different … [The] answer to your question must be that we can best help you to prevent war not by repeating your words and following your methods but by finding new words and creating new methods. We can best help you to prevent war not by joining your society but by remaining outside your society but in cooperation with its aim. But one does not like to leave so remarkable a letter as yours – a letter perhaps unique in the history of human correspondence, since when before has an educated man asked a woman how in her opinion war can be prevented? – unanswered. I think anger and activism mix about as well as drinking and driving. When I’m angry, I don’t have the judgment to select a correct target to hit out against. I do believe that anger is healthy, that it can lead to a recognition of the need for action, but activism itself is best accomplished by level heads who can help steer others’ anger toward correct targets. Well, I don’t really approve of the stick, and in any case Woolf doesn’t have one, only a pen, but she understands the virtue of quietness, and treats her subject with a sort of moderate amusement, though she has a lot to get angry about. Cambridge, for example, supposedly a place of enlightened thought, where in 1921 undergraduates bashed down the gates of Newnham College following a vote about allowing female students to receive degrees (bringing back memories for me of this brilliant book). Or the shutting out of women from certain professions, notably the forces and the clergy. They’ve caught up now, of course. A short fifty-six years after the publication of this book, the Church of England began ordaining women, one of whom was one of my childhood priests. I don’t recall what I felt at the time, aged ten or eleven. I suspect a certain bewilderment that her gender should be such a big deal, though clearly it was. The current vicar’s a Forward in Faith wingnut. It’s a good thing I moved. You see, really and truly, apart from the things anyone can pick up (the dressing and the proper way of speaking, and so on), the difference between a lady and a flower girl is not how she behaves, but how she’s treated. I shall always be a flower girl to Professor Higgins, because he always treats me as a flower girl, and always will; but I know I can be a lady to you, because you always treat me as a lady, and always will. Books of the Men-are-from-Mars type are so keen to fit people into boxes (I imagine; I’ve not read it) that they fail to notice that our similarities to people unlike ourselves are as striking as our differences from them. What Liza says applies to gender as well: the great difference between different genders may be not innate, but to do with social attitudes. This feels germane to Woolf’s arguments. Let us concentrate upon the practical suggestions which you bring forward for our consideration. There are three of them. The first is to sign a letter to the newspapers; the second is to join a certain society; the third is to subscribe to its funds. Nothing on the face of it could sound simpler. To scribble a name on a sheet of paper is easy; to attend a meeting where pacific opinions are more or less rhetorically reiterated to people who already believe in them is also easy; and to write a cheque in support of those vaguely acceptable opinions, though not so easy, is a cheap way of quieting what may conveniently be called one’s conscience. Not enough, though, is it? I want to change the world, I want to do something, I just don’t know what or how. Perhaps if I keep thinking about it, perhaps if I keep reading Virginia Woolf, something will occur to me. When a friend showed me Joe Brainard’s book I Remember recently, I thought, This is marvellous, and how come I didn’t know about it already. I remember when I went to a “come as your favorite person” party as Marilyn Monroe. I remember that for my fifth birthday party all I wanted was an off-one-shoulder black satin evening gown. I got it. And wore it to my birthday party. I remember a little boy I used to take care of after school while his mother worked. I remember how much fun it was to punish him for being bad. Perhaps the reader’s thought on browsing I Remember is, I could have written this. It’s not as straightforward as that, of course. On a train a while ago I decided to write a Frank O’Hara poem, and it was so abjectly awful that I was compelled to tear the paper into tiny pieces so that no trace of it remained. But we all have memories and interior lives and we could all produce a piece of writing after Brainard’s template that was personal to us, something like this. When I started this blog my vague intention was to write about culture. Music, books, theatre. Increasingly, though, I retreat into myself. I can write any number of mini essays about films I like, but the chances of my writing anything original (and what’s the point in writing anything that isn’t) are zero unless I write through the prism of my personal experience, and also I’m only barely cine-literate. So these days I generally forget the films and focus on my life. Could I write my own variation on I Remember? I remember Ben, the first boy at school to have a digital watch. When you asked him the time he would reply, ‘It’s six minutes past nine o’clock.’ Even at five years old I knew that normal people rounded the time up or down to the nearest five minutes and so I decided he was odd (which he was, his parents were dentists). I remember when someone would come into the classroom in the middle of a lesson and all the children would turn their heads to see who the new arrival was, but I deliberately never looked, to prove I wasn’t a sheep. I remember watching the film of The Witches in class as a pre-Christmas treat, and a girl I liked had to be escorted out of the room because she burst into tears when Anjelica Huston took her mask off, and I wanted to go out too so I could comfort her but stayed because I also wanted to keep watching the film. I remember a teacher washing someone’s mouth out with soap. I wonder if this can actually have happened. I remember being frustrated at how complicated it was to get my red tights on when I was playing a red robot in the school play. I remember my English teacher asking for a copy of an A.A. Milne poem from the library and my knowing immediately where to look for it and my friend Richard taking the credit and my not minding because I loved him. I remember the unremitting tedium of church, my instinctive conviction that the rebranding of Sunday School as ‘Sunday Club’ was phony as hell, the delight of being asked to play the piano for hymns, adding tasteless reharmonisations of my own invention. I remember never being in a fight, never punching another boy, though when I was twelve I did slap someone and immediately regretted it, but then he called me a slapper and we laughed about it and everything was all right again. 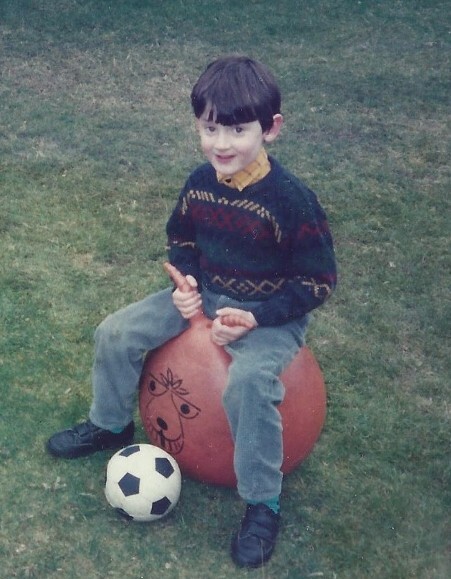 I remember going on the space hopper and deliberately bouncing on the football to make myself fall off, because it was funny. I could go on, doubtless will go on in future posts, and could probably write a book’s worth of this stuff, but I can’t commit to it because I feel like I live too much in the past as it is, and I fear that the constant dredging up and writing down of long forgotten memories would turn me into a Billy Liar- or Walter Mitty-style fantasist. I’m barely world-trained as it is. That said, the strong vein of self-indulgent nostalgia that has always been present in these pages will continue ad nauseam. This post is a prelude to another one about reading in childhood, and there’s plenty more where that came from. I suspect I’m writing these maudlin recollections primarily for my own benefit, but if you happen to like them too then so much the better. Onward! ceaselessly into the past.